When a letter arrives from Lancaster County, Pennsylvania, Angela and Rose decide to visit Aunt Sylvia, their mother's Mennonite sister, in the heart of Amish country. This vacation could provide the opportunity both sisters need to sort out their issues. And yet instead of finding a new way of connecting with each other, Angela and Rose discover surprising family secrets that add to their strife and threaten Rose's romance with a new beau. My thoughts: First, the disclaimer. "I was provided a free copy of this book. All opinions are my own." 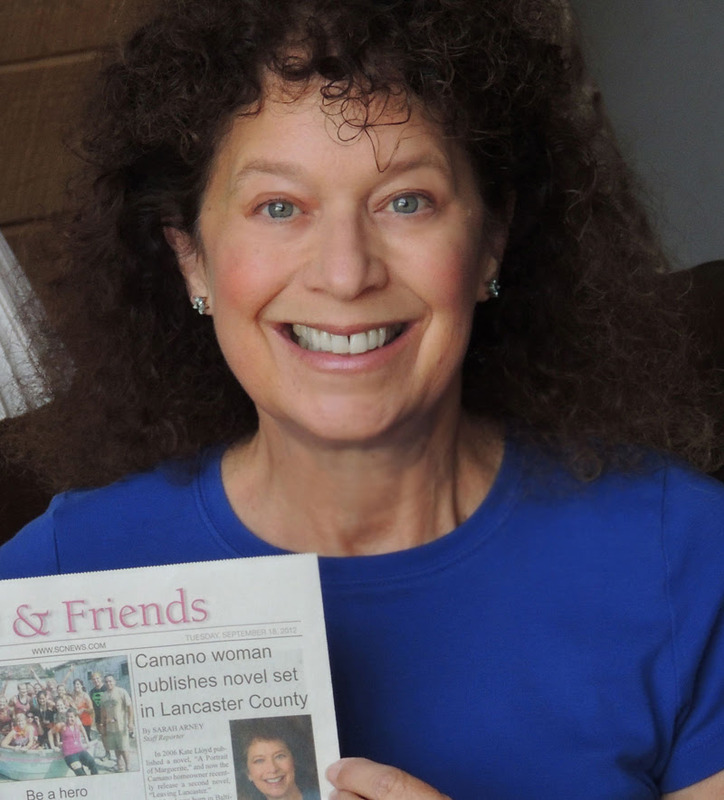 That done, A LETTER FROM LANCASTER COUNTY is a page-turner by Kate Lloyd. Set in Amish country, two English (not Amish) sisters visit their aging aunt after the death of their mother. The two sisters are not what you could call close, but they made somewhat of an effort to get along as they came to grips with secret parts of their family history, their own secrets, heart-desires, and heart-breaks. This is women's fiction at its finest. While not strictly Amish fiction, it is contemporary set in Amish country, so even fans of women's fiction who are not into Amish fiction shouldn't have any objections. The sisters did confuse me, trying to remember who was married and who was not, but within a short time of reading I figured it out easy enough. The landscaper was a nice touch. Fans of Kate Lloyd will adore this new women's fiction. Dynamic protagonists and increasingly tense narrative sets the scene for a heart-wrenching and engaging story.
. 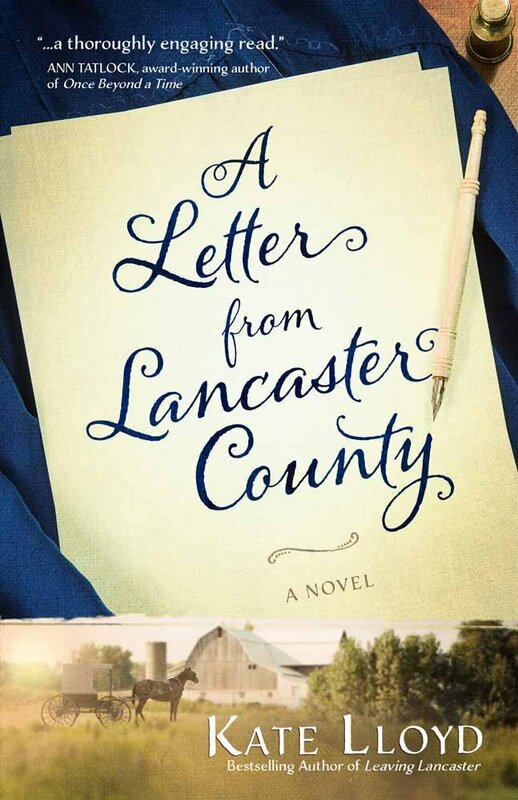 When a letter arrives from Lancaster County, Pennsylvania, Angela and Rose decide to visit their mother's Mennonite sister in the heart of Amish country. Angela and Rose discover surprising family secrets that add to their strife and threaten Rose's romance with a new beau. Through it all, the two sisters must find the faith necessary to face their personal problems and allow God to restore hope and healing to their hearts and relationship as only He can. Enter today, but hurry! The giveaway ends on July 27. The winner will be announced July 28 on http://litfusegroup.com/category/blog" rel="noopener" target="_blank">the Litfuse blog. 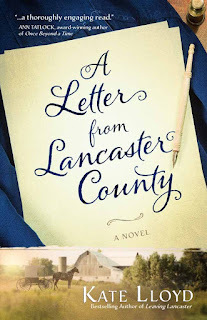 I look forward to reading Kate Lloyd's latest release, A Letter From Lancaster County. Sounds like a great read with the English sisters visiting their aunt with family secrets being discovered. Thank you for your lovely review and endorsement for this book. Can't wait to read it. It sounds so interesting. Thank you for the opportunity to enter the drawing.